Rheumatoid Arthritis fatigue can feel like the tiredness of a flu virus. It can come at any time of day or night. Rheumatoid arthritis fatigue is not always the result of physical activity. It can suddenly develop for no apparent reason. Rheumatoid Arthritis fatigue can last hours or days. It makes movement very difficult. It is not a psychosomatic condition. It’s tough work for PRD to manage Rheumatoid Arthritis fatigue on top of pain and disability. Here are some ways readers cope. Eat a nutritious, balanced snack such as protein bar and fruit. Try relaxation or meditation techniques. Here are some things I’ve tried to manage rheumatoid arthritis fatigue. Check for deficiencies such as iron, vitamin D or vitamin B-12. Fruit juice (V-8 Fusion) & sympathy. When the body says, “No more,” then stop. 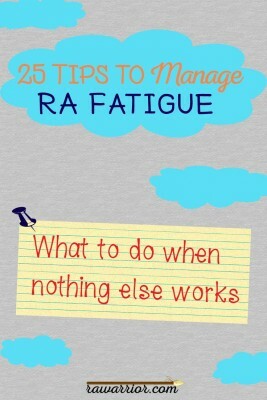 Be sure to check out the comments page for more suggestions to manage RA fatigue or to add your own. No, it’s not in your head: What Causes the Fatigue of Rheumatoid Arthritis? A hot water shower is very rejuvenating if all else fails. Or a hot tub if youre fortunate enough to have one. It works as well as medicine sometimes. This is an amazing explanation! Thanks for it. It’s exactly what I consciously and unconsciously do. Now I can try to explain it. I am really stuggling with fatigue right now. Thanks for these tips! New to RA, I wasn’t sure why at times my body parts felt like they weighted a 100 pounds each and just crossing my legs can take all the engery I can muster…..Now I know it is just another part of this cross we must bare…….! Sorry to hear that Sherri. Did you read the other post on RA fatigue mentioned in the post? Wonder why doctors don’t seem to mention this. ? None of mine ever did either even though it’s in all the books. Hope this list helps a little – at least to know your not alone. I had no idea how bad the fatigue would be. I was diagnosed 4 months ago and thought the worst thing would be the pain. Now that my meds are working on the pain I am am struggling with the fatigue every day. I drink coffee to clear my brain fog and keep me awake at work and pass out the moment I get home. Trying to get in shape again by working out but every time I plan to, the exhaustion is too much to bear… Anyone out there able to make working out part of their daily life? Hi Heather. Sorry it’s so hard right now. I found the RA fatigue is much improved for me when I am on Biologic medicines. It’s true that we don’t all react the same, but hopefully treatment will help it get better. The exercise thing is hard. Some can do it but it takes days to recover. Some cannot do it all because it causes too much pain. If the medicine gets you to the point that it actually helps, then exercise is a good thing. I know many who can and many who cannot. Maybe you will want to read the posts on exercise & the discussions there. Here is the link. I too have real bad fatigue w/RA but also Fibromylagia. Anyway, I was having a real hard time even word finding or getting up enough energy to go to the store or get up out a bed….Anyway, my Rheumy gave me samples for “Nuvigil” which is basically RX for Narcolepsy, which they were beginning to wonder if I had. Falling asleep at the dinner table in mid-fork to mouth…Not knowing I had until my Husband said “Sweetie!”. It was a particularly bad week then. Not as bad on “Nuvigil”. It is not a stimulant. But it clears the brain fog. No, even on bad fatigue days, I can at least be cognicent to understand and talk intellegently, properly supervising my young children. It has made a world of difference in coping. Please ask Doc about it. Fatigue is a relatively new symptom of RA for me. I don’t recall being fatigued without reason in the early years after I was first diagnosed. I’d be tired, sure, but I associated that with long hours at work, caring for my family and keeping up my home. During hard flares I’d be fatigued, but I didn’t expect NOT to be, since I wasn’t sleeping well because of the pain. Now, however, I do experience periods of inexplicable fatigue and brain fog. It’s a strange, hollow feeling, and one I’m always glad tends to dissipate rather quickly. I’m hoping, of course, that it doesn’t get worse. @Wren… I know exactly what you mean. I don’t really remember feeling fatigued as a child or in my 20s and 30s. It wasn’t until I hit my mid 40s that the fatigue really set in. Now that I’m in my 50s, fatigue is a constant companion. …. and NO, I don’t think that’s the normal aging process. I know a lot of 50 somethings who don’t need a 1 1/2 hour nap every day. I am not sure where I fit in here. I got positive ana tests years ago, and was sent to a rheumy, but nothing was ever done, until about a month ago. I have had phantom pains for a while now, I was actually told when I was about 15 that I HAD to have knee surgery or I would never get off the crutches that I was on…of course I opted for no surgery and eventually got better, I have been diagnosed now, thats how I found your site…doing research…and thank you, from everything that I have seen here, it is the best site so far!! I have had RA for approx a year now, am taking methotrexate orally, but my question is… does the climate make it worse, my reason for asking is, before i moved here just over 2 years ago we lived in a dry area. now we are in an area that gets an average rainfall of 1400+ mils per year. does this dampness as well as the cold make the symptoms worse ?? Fatigue – no, I don’t think so. But, pain – yes, probably. Many say that air pressure changes increase pain due to internal inflammation. Maybe you could email them one of the posts that are marked for Non-RA readers. The category “if you don’t have RA please read this” might have one that would help. I’ll put the link here in case you haven’t found it: click here. My first response is happiness that someone acknowledges the fatigue is real. Mine is debilitating 90% of the time if not more. I have always been an outdoors active person, now many days I don’t go outside. I research often, take biologics and am under pain management but still have no relief for the fatigue. I’ve tried diet changes, med changes, natural treatments all to no avail. I am a positive jokester with a good outlook and ctrong Christian belief. In short I’ve done all I see on these websites, any new ideas…PLEASE? Paul, the tips in this article and in the comments page are from readers who are living with RA. The fatigue comes from chemicals in the blood called cytokines & behavioral solutions only help so much. 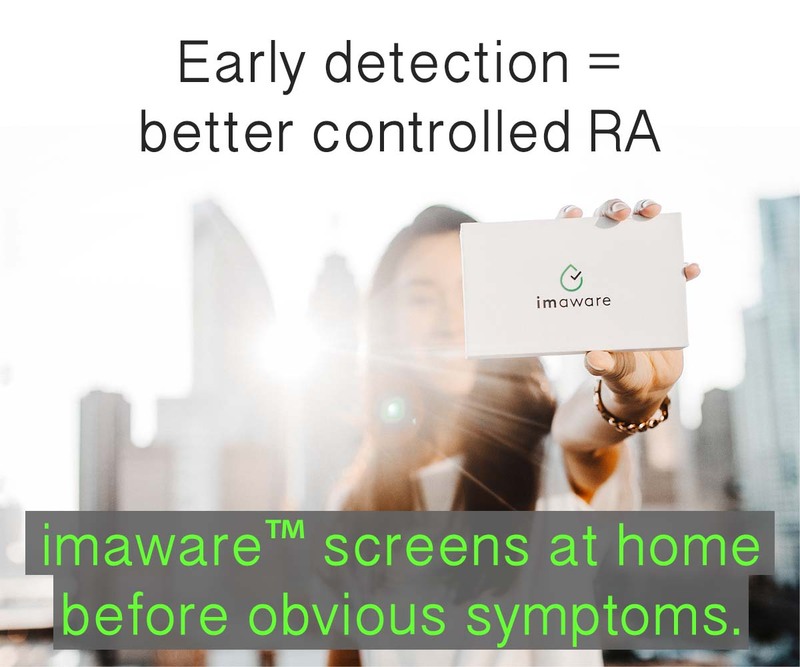 The best way to address RA fatigue is to treat the disease; Biologics are usually helpful with reducing fatigue because they can reduce cytokines. Did you read the other fatigue post already? The only new idea I know of would be a cure. Have you asked your doc about trying a different Biologic? How long have you used that one? Check out my earlier post on “Nuvigil” prescription. My Rheumy was really up to date with all the new things to try. I told him I had brain fog that was so bad. He couldn’t do anything about the body having more energy, but my brain fog went away with the RX of Nuvigil. It was originally RX for Narcolepsy, and now they are finding it works well with RA and Fibro brain fog. It sure helped me. Now I am an intelligent blob of tired flesh instead of an idiot tired blob of flesh! Here is the link for the drugs.com article on nuvigil. It is a stimulant. i forgot to mention the worst:BRAIN FOG,it has been getting worse,and some days it is completly incapacitating.the worst is in the morning,and if i take sleep aids for my fragmented sleep the fog is much worse.there is very little swelling and the pain is manageable.take plaquenil 400mg once a day,for 1.5 months.i plan to reduce dose to 200mg.also take Zeel and Traumeel, both homeopathics made by HEEL.the traumeel helps with pain,and zeel i hope it helps.also take 2000 mg salmon oil and 2000 mg flaxseed oil. Can RA flare up during weather changes? Dixie, changes in barometric pressure cause pain for lots of RA patients. 🙁 It doesn’t cause the flare. It just emphasizes the inflammation that is already in there. I’m sorry Dixie. I know what you mean. My advice is to tell your doctor how bad it is. 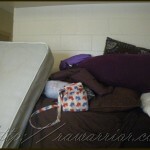 Your sleep is your most valued thing & they need to find a way to get you enough relief to be able to sleep. Usually it s a combination of working on your disease treatment, anti-inflammatory (pred or NSAIDs), and a pain mediicne. Sometimes it’s also a sleep medicine. There are also baths & natural ways to help yourself relax from the pain as much as possible. There is a list here that might help – click here. Each of these posts also has a comments page with helpful stuff there. In my case exhaustion was the most debilitating aspect of RA. I was missing work at an alarming rate, making me think that I would need to retire, even though I could not really afford to do it financially. My doctor prescribed a drug called Nuvigil for my exhaustion. It is expensive, and fortunately I have dual insurance with my wife that covers it, but it turned things around so I can make it through the day. With it I can see continuing to work until it retire normally in a few years. Without it I would have to retire now. I have recently noticed that if I keep my pain under really good control (using a low-dose pain patch for the “basal pain” and dealing with breakthrough with Lortabs) has given my energy a small boost. 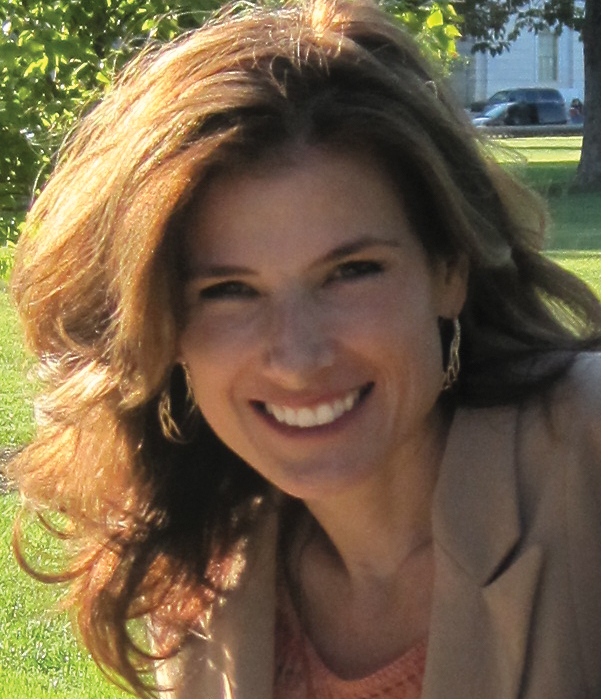 It is as my Internist said – managing pain is on of the keys for managing our lives! He is so awesome. Better than any pain specialist I’ve ever heard of. So my tip is to keep your pain under control as best as possible. You may want to try the Voltaren patches or cream, or the new Butran patch. I haven’t had any success with the Lidocaine patch – even for my muscle pain with the fibro, but you might, so try it, too. 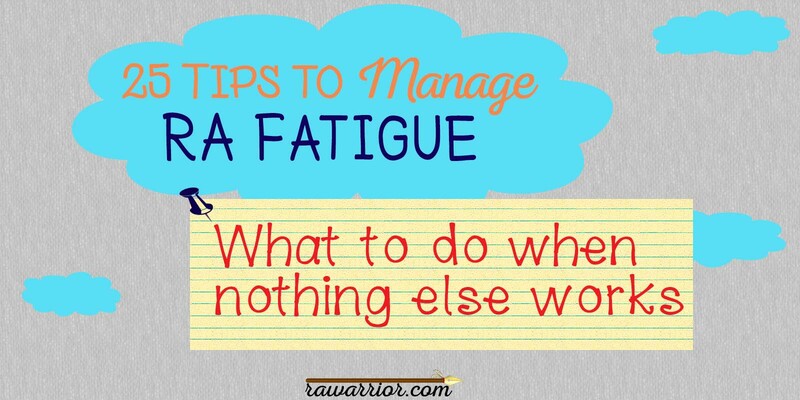 FOR ME; FATIGUE IS THE WORST PART OF HAVING RA. ALL I WANT TO DO IS SLEEP AND WHEN I FINALLY TALK MYSELF INTO GETTING OUT OF BED BY NOON, I FEEL LIKE A TRUCK RAN ME OVER. ALL I CAN THINK ABOUT IS SLEEP; BUT SLEEP IS NOT WHAT I GET WHEN I LAY DOWN. I AM SO TIRED, I CANNOT SLEEP. I FALL ASLEEP IN CHURCH, AND I AM MADE FUN OFF. I HATE THAT THE MOST. I HAVE JUST ABOUT ENOUGH ENERGY TO GO TO ONE STORE AND THEN COME HOME AND GO TO BED. I HAVE A “TO DO’ LIST; WHAT A JOKE. I AM LUCKY IF I CAN GET TWO ERRANDS DONE. IF MY HANDS WERE THE ONLY THING AFFECTED; I COULD LIVE WITH HANDS THAT LOOK LIKE A BIRDS TALONS, BUT THIS ZAP TO MY ENERGY IS THE MOST DIFFICULT FOR ME AT THIS TIME. I DO NOT KNOW A WAY TO MANAGE MY FATIGUE, BUT TO REST AND IT WASTES MY TIME. I agree! I feel like I am not even living life. I get up, drag myself to work, nap on breaks and lunchtime, go home, take care of my pets, eat dinner, and then totally pass out for hours! I don’t even want to, I can barely control it. I have been dx with narcolepsy, plus the RA and hashimotos; I do take nuvigil (or have been but am fighting to get my insurance to cover it – after 2 years now requires a prior authorization! ), but even with the nuvigil I am wiped out! Great life, work and sleep! So much to look forward to. I like this idea…small increments of time and effort would surely help. I have actually done this and it does work! I do little things during the commercials, and watch the main part of the show! Distracting where the pain is concerned..but…by the end of the show, you have accomplished something! Thanks for a great article. My husband has had very severe RA for 20 years now, and I’ve just been diagnosed with it (a touch of dogs and their owners it seems 🙂 I’ve had bad fibromyalgia for quite a while. Both of us have very bad fatigue but we’re being treated with Provigil (modafinil)for it. As we’re in Ireland our meds are free so I’m not sure of the price. It really helps with the fatigue and to get us to exercise, especially me as I’m as lazy as sin. What’s excellent for RA exercise is Band Training as it tones and stretches out the muscles without forcing you to use heavy weights that would hurt your joints. My husband’s wrists are fused so he uses leather wrist cuffs and attaches the bands to that in order to protect his hands. You can do it at home and the generic bands (rather than the branded ones) are relatively cheap. There are loads of free videos Youtube on band training to help you along. If you’re really tired, focus on the easy core exercises as you should be able to get them done in 10 minutes, no fuss. Hope it helps! Thanks Sorcha. I think excercise ability varies with the way the disease affects one – or two. Often the tendons around joints are affected immediately. The tendons weaken so that even the elastic in socks can be too much stress and painfully pull joints out of position. In such cases, bands would not be feasible unless there are periods between flares when the joints are ok. I do agree that doing as much as possible is important. Knowing limits is good, the more we can do the better we feel. I have always popped up during commercials to do little quick chores–it keeps me from turning to stone and I believe it’s part of the reason I am thin. Nowadays I don’t watch TV much, but divide up my daily dish-washing stint into 2 or 3 commercial breaks (suggestion of my physical therapist when I complained how it hurt my back to stand at the sink). I need to remember to do the same with computer time, too. What an excellent description of how the fatigue just comes on like the flu. People in general do not tend to believe what they cannot see. The disbelief that RA patients suffer from family, friends and public in general is not malicious it is ignorance of how someone can “look” ok outside and inside be in such distress. I am grateful for this post and all the comments. I was diagnosed with RA a few weeks ago and at my last rheumy visit I was also diagnosed with fibro. The medication (methotrexate and Cymbalta) seems to have started working on my pain, but the fatigue is completely debilitating. Every morning, I feel like a heavy weight is on top of me and I cannot get up. I could stay in bed all day and night if I didn’t have to get up. I have gone from being a chronic insomniac to being able to sleep anytime, anywhere. Also, the brain fog is horrible. My husband chides me about staying in bed so long, but I cannot help it! I am glad (well “glad” may not be the right word) others experience this too, because I was starting to wonder if I was just lazy. Graet post- I personally choose to go Gluten free and this has helped. Good spelling Pat! Meant Great Post! go until you collapse – that’s how i roll! either way – i could rest and be moving around gently and “taking it easy” and still end up feeling the same at night. if i get crazy for working and projects, i “wrap up” – to protect wrists, ankles, etc and then go at it like i always have. when i can’t, i “flop”. while i am in bed or on the couch, i write the lists – “planning for what i can do when i am more able” – as you mentioned – and prepare for the next “good day”!!!! I went gluton free 3 weeks ago. So far I haven’t noticed much, but I am determined to stick with it for a while. I would love to hear from others who have tried the gluton free diet. Hi Janet- how are you feeling now with choosing to be Gluten free- stick with it..it is worth it! I was diagnosed last july 2011 after suffering for some time. I am now on methotrexate and folic acid. For the last 2 months I have been forcing myself to the gym figuring excercising would help only to experience extraordinary pain. Then today my dr says no excercise it just makes it worse. I was shocked and will be doing water therapy for awhile, I assume when my labs are better I should be able to work out more, they were terrible this week. Anyone been able to complete a little more vigorous activity after awhile or am I dreaming? That’s surprising, I have never heard a dr say no exercise. I just came back from a 40 min. walk where I did add a little jogging in. Although my hips are really hurting, but they were hurting before the workout. My other option would have been laying in bed all day sorta feeling sorry for myself, so I got up and forced myself to do it. The one thing I have learned is do not overdo it. I laid flooring in my bathroom (by myself) last summer which ended in a major flare. I had pushed myself too hard. But gently exercise when you are feeling well is absolutely encouraged. I think there may be a misunderstanding when you say, “gently exercise when you are feeling well is absolutely encouraged.” Many patients have an unrelenting disease pattern or all joints affected so that they never reach a point of “feeling well” so that they can exercise. Most people do not have an adequate response to treatment to fully supress disease activity and make exercise as possible as they wish it were. Most people I know with RA are not capable of walking 40 minutes as you describe even if they could go running the day before RA struck them down. I hope we can ALL do as much as possible every day – I know I do. But it’s important we understand the differences. “Major flare” as you describe after laying the floor is how many of us experience RA every day, with every joint involved or no lulls in disease activity. Hi Sheryl- I can understand what you mean- I was diagnosed last April- They said exercise is good- I couldnt do much at all, and felt guilty about this so I pushed myself through the pain..anything at any time of the day- some dancing in my own home at times! It all hurt and did not feel good- just wanted to stay in bed and rest! Now nearly one year on and feeling heaps better I can excercise- just stick to gentle swimming maybe- you will know when you can do more..good luck! Absolutely! I weight lift 2x/wk, do interval cardio 1-2x/wk, and walk when all else fails. The lifting is the best part, but I have to pace carefully because from workout to workout, my condition varies. The muscle strength is HUGE! It supports the joints and maintains function. That could simply mean getting on/off the toilet! We all know that we get hit with the cachexia, which doesn’t help anything. I disagree with your MD. Even on flare days, I do move within a comfort range. I find the movement increases circulation to the joints affected, pulling out the swelling and keeping me from getting too stiff. The key here is gently! So, start slow, listen to your body, and engage in an activity you know your condition can support. It is so worth it! 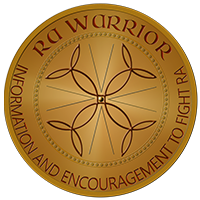 Hi, I am reading all of the posts here and am finding out that RA effects my life in many ways. I was diagnosed with RA over a year ago, have had it for almost 10 (don’t know why we just figured it out). I have recently in the last 3 week broken a rib and bruised my stomach, sternum and my liver(fell forward onto my chest without hands catching me) I am now sleeping 12-14 hour days. Is this because of my RA and healing or does anyone else think I am way off base? Any comment will help. Thank you for your time. The fatigue just makes me crazy! And the way it gets some better and then much worse, over the last weeks it has been piling up on me until finally yesterday I laid down for a short nap at five and woke up this morning! Never took out the dog, never locked the door, never took off my clothes, just slept 16 hours! Just wiped me out! I get to the point where everything makes me tired – can’t stand it! a few more thoughts about combating fatigue – mind over matter isn’t out of the question – i use that a lot when i have to get something done and sometimes the fatigue lifts for awhile – the coffee also helps that “fake” sense of well being as well as foods like bananas, walnuts, lemonade (naturally sweetended – avoid sugar) and best of all – lots of water. i think dehydration is a huge culprit. i have been told i was dehydrated even after gobbling lots of liquids and fruits. i think that it is a side effect of this disease as well as the the meds – drink copious amounts of liquid. keep water with you all the time and drink! keep it by your bedside – it can disturb your sleep if you have to pee in the night but it lessens the dry mouth and keeps you evenly hydrated. the kidneys help remove the toxic side effects of methotrexate (fatigue among them) so water helps you flush this out. don’t use sodas and teas as they will also clear out too many vital nutients. plain water! I was diagnosed with RA 3 years ago but only took it seriously a month ago. Why? Because I could barely walk because of pain in my feet. My physician said he felt like my RA had moved into my feet. I guess if I would have taken my RA seriously and took the prescribed medicine like I was suppose to maybe I would have never had to experience the pain in my feet. I am battling fatigue, not on a daily basis but when it comes it hits me hard! I am in the health field and work nights. Do you know what causes the extreme fatigue? I have been doing a lot of research but haven’t came across a reason. Since taking my meds regularly my pain in my feet is better. Thank you so much for your compassion, advice and experiences. It’s comforting to know I am not alone in fighting this disease. not wear hardly anything but good gym shoes. No more high heels for me! You were in some denial, which is common at first,but now you are accepting and taking the meds. Good! for me. I guess I have been doing it for so long, my body is ok with it and RA. Glad you are feeling better! stressed for a few weeks, now I am paying for it!! So all I can say is AVOID STRESS AT ALL COSTS,OR YOU WILL PAY!! cant believe i found this site. next few days i am going to vent here. I now know i had RA for at least 5 years but just got diagnosed within the last 6 months. I TOLD the doctor all of my symtoms. We were looking for limes and other stuff. I still can not believe there has never been something identified that cause RA . NEVER ? I was already doing most of these before I was diagnosed. Having FMS for years, I guess prepared me for RA. This site does help me, as I go through my journey believing it is just in my head and nothing is really wrong – how can I be fatigued when I do sooo much less than I used to?? Patience and learning to listen to my body… Thanks for the inspiration RAwarrior!! Tried to convince myself and my rheumatologist that I don’t have RA (neg bloods)but she wouldn’t budge. Hand joints have been sore since Sept 2013. She has me on methotrexate & plaquenil (grrr) x 1 month now with no real response thus far. I know these take time but I hadn’t gotten any relief with a week of Prednisone either.. Anyway, all to say I didn’t even mention the fatigue to her. I can have a great night, wake up feeling refreshed and then 2 hours later, bang, my eyes are watering and want to close (and get red as well). Happens almost daily but I still work out 3 times a week regardless as I won’t let it take me down. When are these meds going to kick in and allow me to close my hands again and not feel sooooo fatigued??? OK, no more complaining from me. For me, fatigue is the worst part, even worse than the pain (sometimes). The meds keep the pain in check, but there’s no magic pill for the fatigue. That being said, I do keep a package of Stacker 3 in my desk at work for those days when I just can barely move. Some would poo-poo the “energy pills” but I don’t like the taste of energy drinks. They do help, but by the time I get home, I…am…DONE! even without those i’m usually “done” by the time I get home. I don’t know if I’ll make it to retirement (11 years) without having to go part-time. Thank you Thank you.I am not alone. I realize most of these posts are 6 or so years old – but the problem isn’t old and hasn’t disappeared from those of us who have RA/RD and the fatigue and multitude of other issues associated with it. One thing I have found that does help is soaking in the tub with epsom salts. The hot water helps me to relax and I try to play comforting music while I soak. However I’m sitting here right now trying very hard NOT to cry. Along with the fatigue I suffer with bouts of depression. I have so many things I want/need to do to my house. If I do have a day where I can do a few things, I tend to overdo and then pay for it for days. Then there are the problems like the back, neck, hips, among other joints. It is so difficult to deal with when people just do not understand. I’ve found so many doctor’s even that do not “get it” – my heart doctor says it cannot affect my heart while my heart rate goes to 130 just walking to the kitchen – the PCP says it can’t affect my lungs. Her most common response to anything that I ask about is – well, I’ll defer that to your Rheumatologist. The gastro doc refers to the PCP – the PCP refers to the gastro doc……I’m just fed up! Sorry, I’m going on and on and I’ll stop. It is so helpful to know I can come to these posts and know I’m not alone. Thanks to you all – many blessings and comfort for your pain. In reply to Kelly about not being able to walk 40 minutes or feeling well enough to exercise. That’s how I feel every day. I use to be pretty active. Now it’s extremely difficult to bend and pick up something from the floor. Standing at the sink to do dishes for even a few minutes is very difficult. It feels as if my joints are rusting, the stiffness, pain, and fatigue are horrible. There is a tv show on PBS, once a week, that I record. The excercise is 22 minutes. I do them approx.5x/week. Before starting this I could barely bend down, go up or down stairs, or reach up. It is called essential stretching by Miranda Esmond White. She is an ex-Canadian ballerina who I think is 68 years old. (Maybe 64). It seems simple at first, but when you actually do the stretching it is a workout. She will tell you at times, when things are too hard, what you can do instead. You can buy all her work outs on dvd’s. ( Classical Stretch – The Esmonde Technique: Complete Season 10 – Strength and Flexibility), as an example. I just record them for free. What a change it has made in my life, just 22 minutes!!!! I was the exact same way!!! See my comment about essential stretching by Miranda Esmond White on PBS. Still hurt, but really changed my life!!! Hi, I am 19 years old and I was diagnosed with RA last year and I have already become very weak and the fatigue is really hard already. I work a little over four hours a day and I come home and go to bed and it’s the same for when I have to run errands. Its hard to do anything when you are always tired. I have been living with RA for 15yrs now. My meds have been slowing getting to the point where I am now on Rituxam infusions that have to be given at the cancer center. The fatigue is overwhelming at times and I feel like a truck has run over me most mornings. I believe weather plays a huge part in how my day is going to be but even nice days are becoming more difficult for me.I just wish they could find something that works longer than a couple months. Ask your doctor about Nuvigil. It is not a stimulant like Adderall where you feel jittery. It is used for Narcolepsy and night shift workers. It is probably the thing that saved me from losing my job. Get the best mattress you can afford.